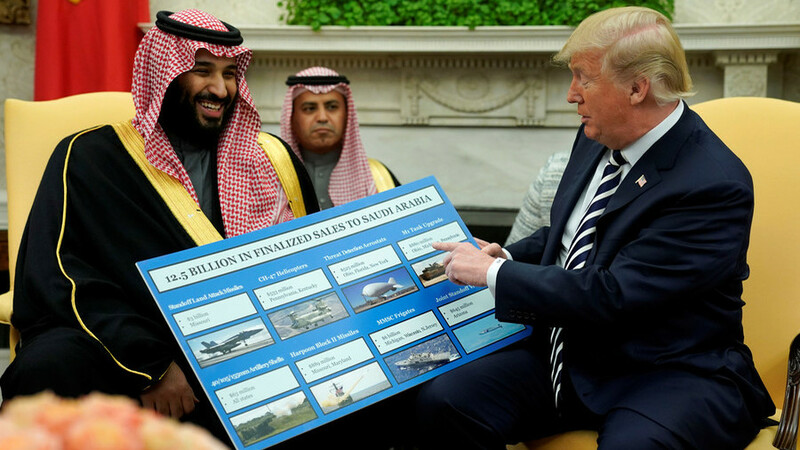 On Wednesday, Donald Trump treated Saudi crown prince Mohammad bin Salman with a chart of military hardware sales. The Trump administration threatens to veto a bid by the United States Congress to end the country’s military support for the Saudi Arabia-led coalition’s onslaught in Yemen. The administration claimed on Monday that the resolution was inappropriate, harming the country’s regional relations and stated efforts to halt “violent extremism”, according to Reuters. 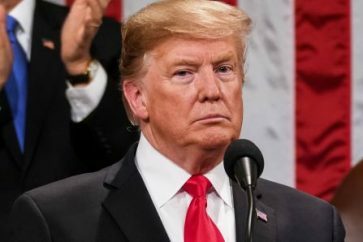 Congress, however, believes that US intervention in Yemen is an instance of use of force in a foreign conflict, giving the body constitutional power to authorize or block the administration’s measures. President Donald Trump ignored a Friday deadline by Congress to determine who ordered the assassination of Saudi journalist Jamal Khashoggi and whether he intends to impose sanctions on Riyadh, prompting an angry backlash on Capitol Hill.